This year has been the best ever for the tourism industry, according to Tourism Ireland, with 7.9 million people travelling here over the past 12 months. That is 11% higher than in 2014, with Ireland seeing a growth in visitors from a number of locations including the United States, Britain, Canada and Germany. These tourists contributed around €4.2 billion to the economy, up 16% on the figure recorded last year. Tourism Ireland said this year’s figures were boosted by visitors to the Wild Atlantic Way, as well as interest in the locations used for Game of Thrones. 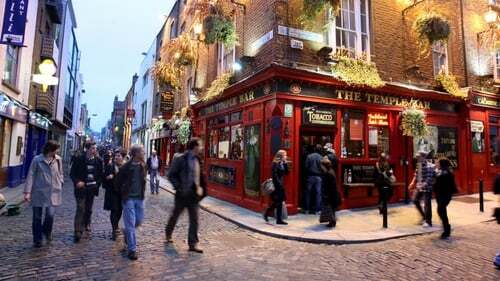 The agency hopes to grow the figures further in 2016, through its launch of the new ‘Ireland’s Ancient East’ initiative and its promotion of Dublin as a holiday destination. Tourism Ireland also says it will try to capitalise on the use of Skellig Michael in the new Star Wars film, with a campaign focused on the film set to roll out in a number of countries.